with 3 varieties of succulent melons and a bold, sweet and spicy dressing, this salad is undoubtedly fresh and juicy! 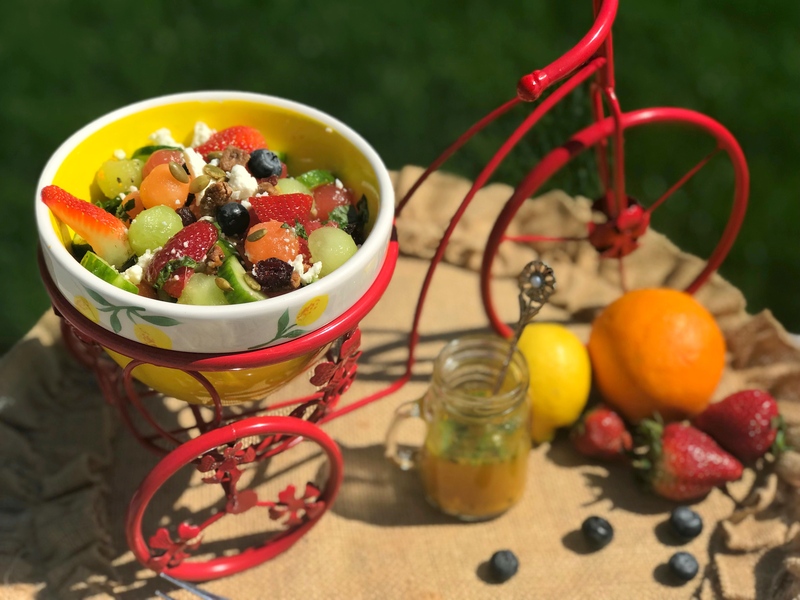 Try it for your next picnic or potluck party and bask under the sun enjoying the refreshing story told by this melon salad! Watermelon Mango Shrikhand – cold, refreshing, creamy and absolutely delicious! A traditional saffron and cardamom Shrikhand made with rich, creamy yogurt, but with a twist of seasonal fruits. 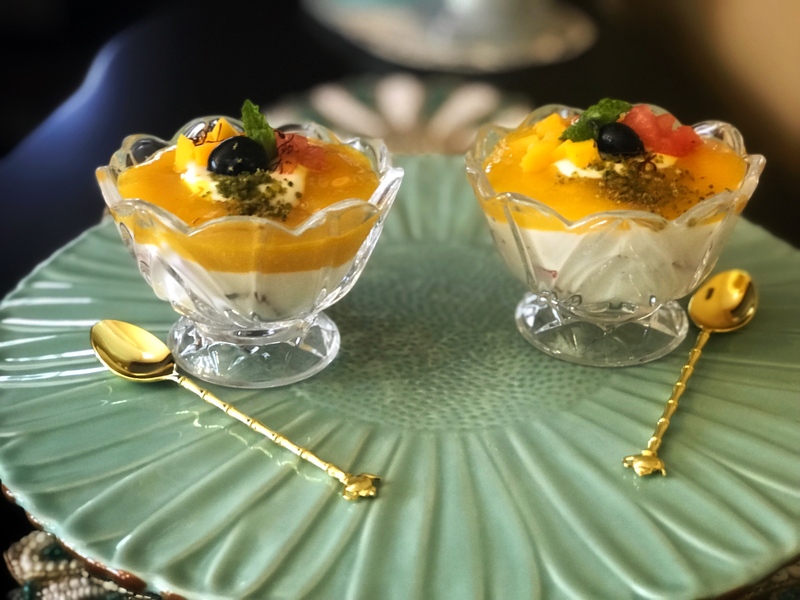 Diced watermelon in the yogurt and a layer of mango puree on the top, make this impeccable dessert modern, perfect to beat the summer heat, and even more irresistible!